Andy grew up in the business that his father started in 1960 with a Mohawk Gas Station. Andy bought out and took over the daily operations of the shop from his father in 1992, and the shop became affiliated with the Napa brand in 2008. He is 55 years old, a father to son Nicholas Daniels who resides in Utah with his wife Sarah, and a grandfather to six. He is a 4-term President of the Tulare/Visalia chapter of the Automotive Service Councils of California (ASCCA). In 2016, Andy obtained his Accredited Automotive Manager (AAM) designation through the Automotive Management Institute. Andy’s wife Jennie is in her 17th year as the principal’s secretary at one of three comprehensive high schools in Tulare. She helps Andy with the design and marketing side of the shop and is side-by-side with Andy helping with community events such as the annual scholarship competition, Chamber of Commerce activities, and a community outreach breakfast hosted at the shop each year. Jennie is also the secretary of the Tulare/Visalia ASCCA. Alex is a very outgoing, happy and knowledgeable employee; the customers love Alex. He came to Andy seeking a job with Frank’s Automotive knowing that he and Andy would make a great team. And, they are! 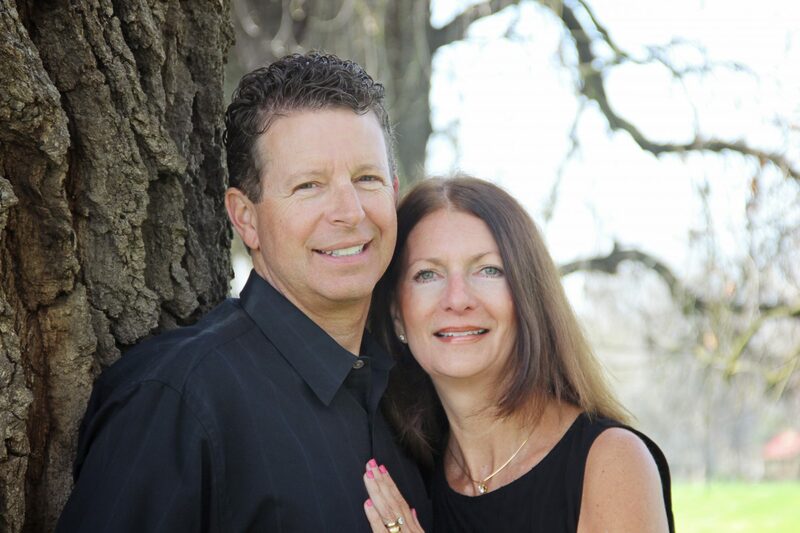 Originally recruited to work at a parts house as a young man, Alex worked in the automotive repair, service and maintenance industry for 18 years, most recently as a manager for a locally owned multi-shop tire dealer/repair shop. Twice he earned a Top Gun and Top Manager award for his significant work ethic and overall great attitude. He is married to Reyna, his high school sweetheart, and they have 5 children: four girls and one boy. His favorite quote is “Semper Fi” (Always Faithful). Cesar came on board as a part-time facility maintenance/shuttle driver, wanting to have a more advanced knowledge about cars. However, his focused can-do attitude, confidence in speaking on the telephone and in person with customers, and quick learning capability caught Andy’s attention immediately. 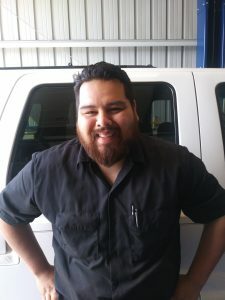 Having lost a service advisor to a long distance move, Andy was in need of a new service advisor, and Cesar seemed heaven-sent. Cesar believes that the only way to look forward is not to look back, and he certainly has proved that motto. 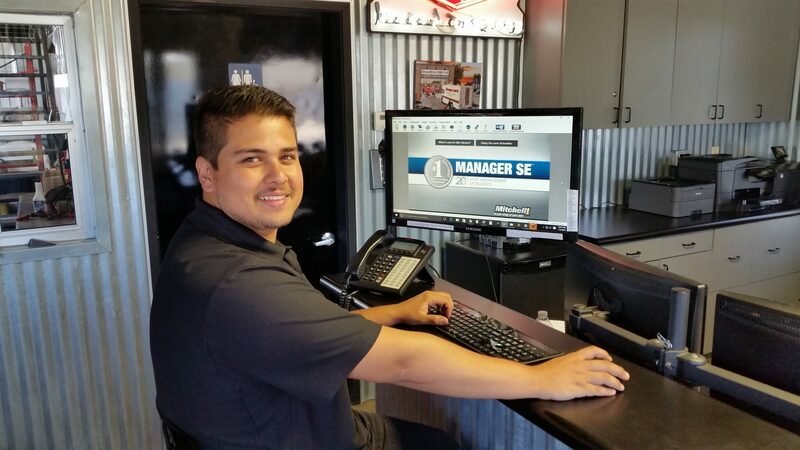 In the short time he has been on the service advisor desk at Frank’s Automotive, he has soaked up a wealth of knowledge, and fine-tuned his skills of communicating with the clientele. He has a girlfriend who lives in Southern California, but they maintain a great love for each other over the miles, and see each other as often as possible. 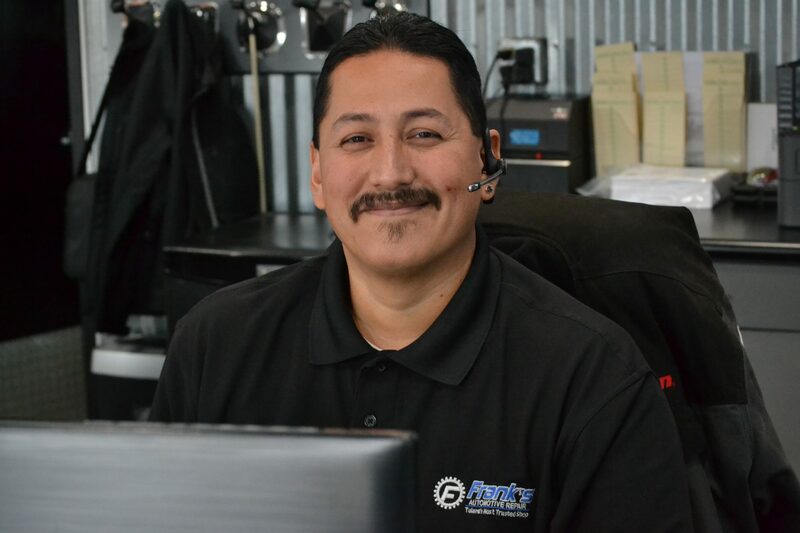 Luis has an extensive 14 years in automotive repair with an Associates degree from Arizona Automotive Institute. He was born in Tulare Ca and is a determined, honest, and respectful person. 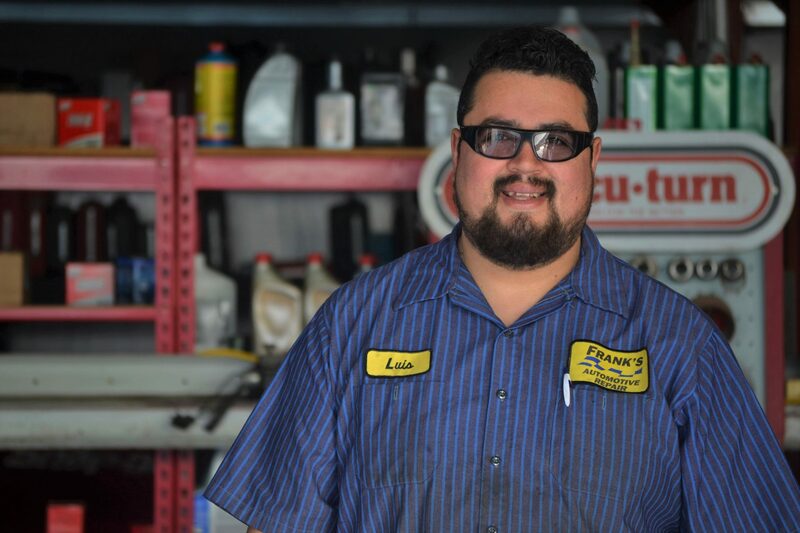 As a child Luis would work on cars with his father and also help people in his community with any car problems. Luis likes attending car shows, going to the dunes and spending time with his wife and family. His favorite quote is “I like cars. I couldn’t tell you why. It’s an extension of one’s personality. Its personal freedom” by Chip foose. Christian can proudly say that as a graduate of UTI, he is the first in his family to graduate from some kind of college. 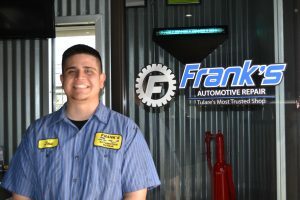 Taking what he learned at UTI in automotive and diesel, he came on board as a trainee/intern at Frank’s under the supervision of Andy Daniels. We see a lot of talent in this young man, and are confident that his skills and expertise will continue to grow quickly. Christian says that his personal role model is his dad, a very hard-working individual who gave Christian and his brother a good life, and has always been there to support him and teach him life skills. Christian recently was engaged to his fiancé Wendy, and they have a 3-year old son named Iker. 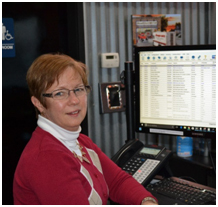 Although Tina has worked at Frank’s Automotive for 7-1/2 years, and is our most loyal employee, she states that much of her adult life has included work experience in extensive bookkeeping and record keeping, as well as customer service. She likes the fact that every day at the shop is different with the interactions of the customers, the employees, the vendors, as well as the regular day-to-day and monthly responsibilities that are required of her position. She believes in what Steve Jobs stated, “Great things in business are never done by one person. 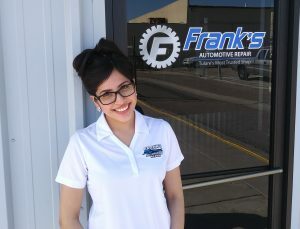 They’re done by a team of people.” Tina is definitely a team player; she is always happy, has missed only a handful of days of work in her tenure, and we truly appreciate her dependability and dedication to Frank’s. Tina and her husband just celebrated their 42nd wedding anniversary. They have two grown married daughters and 4 grandchildren. Jacob came to us years ago as a high school student recommended by his automotive teacher, after entering the annual ASCCA automotive scholarship competition. Andy hired him to work as a part-time facility maintenance/shuttle driver at Frank’s, immediately after school each day. Jacob is a local boy, born in Visalia, graduated from Tulare Union High School, and currently attending the College of the Sequoias to further his education. Jacob is a great young man, with a solid faith and enjoys working with his church’s youth group and being with family in his spare time. 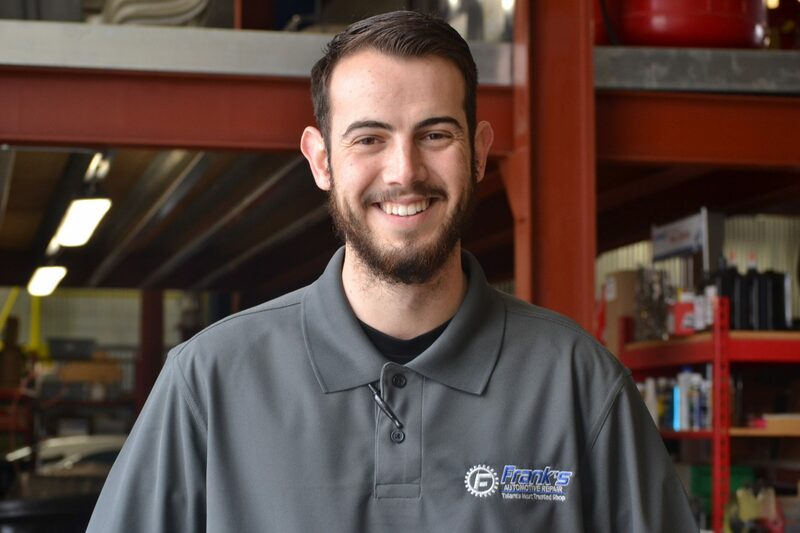 Whatever Jacob is asked to do, he gets it done from various small automotive repair and maintenance tasks, to cleaning up the shop, to transporting the customers, etc. In anything and everything, a task great or small, he always approaches it with a great attitude. 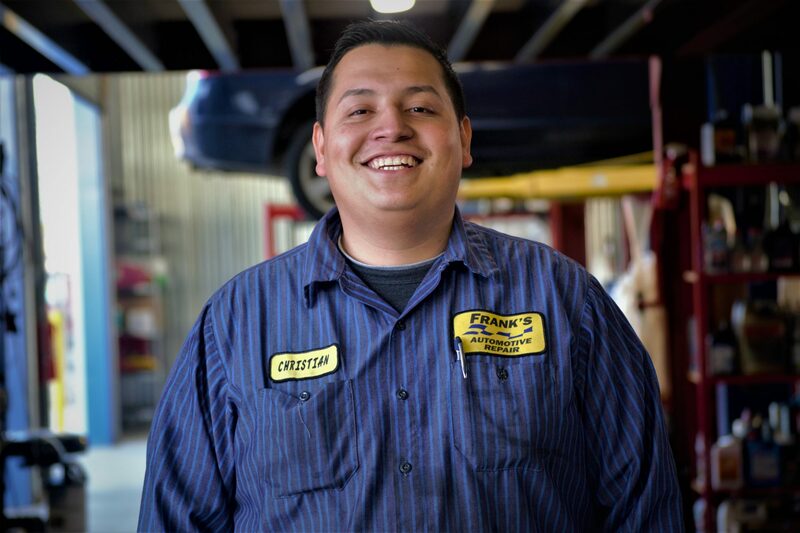 Jose one of our newest technicians has a great background in mechanics with 14 years of experience. He holds certificates in A/C 609, ASE A1-A9 and L1 Nissan and GM manufacturer training. Jose was born in Burbank Ca and comes from a large family which he remains very close with. He spends his time working on project cars, listening to music and walking his dogs. One of his icons is Henry ford. Jose’s favorite quote, “ Coming together is a beginning, staying together is progress, and working together is success”- Henry Ford. Jessica came to us from being in the hospitality business for 7 years, eager and excited to use her customer service skills. She enjoys the interaction with different people on a daily basis. Jessica is local, born and raised in Tulare. She’s the oldest in her family along with 3 younger brothers and her dog Dandy. Growing up Jessica always admired her mother’s strive to work and provide for her family. Her favorite quote “Your smile is your logo. your personality is your business card. How you leave others feeling after having an experience with you becomes your trademark”- Jay Danzie. Jose was born in Reedley, Ca. He is an only child raised by his loving parents. He’s been in the automotive business for 3 years and holds an Automotive Associate’s degree along with a Degree in Political Science. Jose also attended a Nissan manufacturing training class resulting in wining an award through Nissan. A moto Jose goes by is, “The best preparation for tomorrow is doing your best today”. Being able to work hands on in the automotive industry and being able to help out a fellow customer is what he enjoys. Jose is responsible, humble, and a funny young man to have around. His enjoyment is to spend his spare time hanging out with friends and family.